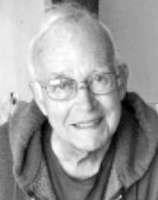 Daniel Dewees Strite passed peacefully at his home in Albany, OR on August 28, 2018. In 1950 Dan began a career as a golf professional serving northwest courses, beginning at Waverley Country Club and finishing his career at The Highlands in Gearhart. By request, there will be no service. Condolences may be posted online at www.fisherfuneralhome.com.